KITWE district commissioner Elias Kamanga says government has released K200 million for resolving the problem of street children in the city. Mr Kamanga said the money was released early last week and that the funds will be used to remove children from the streets of Kitwe. 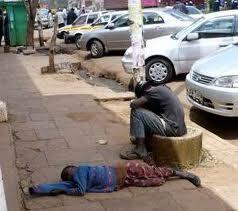 “We are concerned about the increase in the number of street children in Kitwe. To address this problem, government has given us K200 million,” Mr Kamanga said. He was speaking in Kitwe on Thursday when Deputy Minister of Gender and Child Development Esther Banda paid a courtesy call on him at his office. Ms Banda is on a countrywide tour to check on issues of street children, early marriages, increasing cases of defilement and gender-based violence. Mr Kamanga told Ms Banda that the majority of street children in Kitwe have parents with impaired sight who opt to live on the streets. “We have a situation here where blind couples have over eight children and all those are offloaded on the street every morning with their parents asking for alms. So, we also need to address the plight of the blind,” Mr Kamanga said. He also appealed to Ms Banda to audit women’s clubs that benefited from empowerment funds in the previous government before the next disbursement of money is done. He said government resources should benefit the right people to reduce poverty in the country. And Ms Banda said government will ensure that the problem of street children is addressed within the shortest possible time. She also said government is committed to empowering women in the communities to reduce the high poverty levels. “We want our women to form clubs because as government, we are not going to be visiting their homes to give them money,” Ms Banda said.